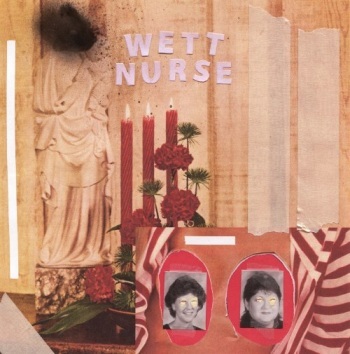 Listen: Wett Nurse - "Hissy Fit"
Based out of Marquette, MI, rock group Wett Nurse’s new EP unleashes an exciting vein of psychedelic-rock capable of comparisons to both classics like The Doors and newer psych-garage infusers, like The Oh Sees or Ty Segall. All three tracks on their 2014 EP fall under two minutes, but there’s no denying the group’s energy or jam-friendly sensibilities. Opener “Hissy Fit” begins with chunky slabs of Matthew Lynch’s guitar work bouncing about over Anastasia Greer’s playful organs. Lynch, also serving as the vocalist, outputs a very distinctive voice whose energy is leaps and bounds ahead of most contemporary performers. 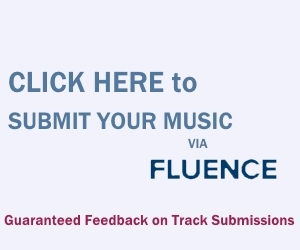 The excitable “whoo!” during the head-bobbing chorus is a fist-pumping moment… well, the entire track is, pretty much. Vibes of Kurt Vile and The War On Drugs, for sure. Whereas organs served as the backbone on “Hissy Fit“, the EP’s second track, “Satans“, initially features a guitar in that role more. Greer’s organs are more playful here, fluctuating wonderfully over a similarly-loose chorus where wordless excitement is rhythmically placed under the thick instrumentation. As is the case on these two tracks and closer “Spook It”, the rhythm section of bassist Matt Bullock and drummer Alex Babcock is consistently solid, which as any psych-rock fan knows is pretty much essential for success.